In seemingly every daily newspaper in Rhode Island (e.g., see Providence Journal, GoLocalProv, Valley Breeze, IndependentRI.com, and Warwick Beacon; for links, go to Rhode Island’ConCon.info’s op-ed page), the Rhode Island ACLU’s Steve Brown has argued that another constitutional convention would be “a General Assembly by any other name” and used the history of the 1986 constitutional convention as his prime piece of evidence. Other prominent commentators have subsequently echoed him in this attack, such as Lila Sapinsky in a Providence Journal op-ed. But their historical assessment is controversial at best. In his history of Rhode Island constitutional conventions, Patrick T. Conley, Rhode Island’s historian laureate, has summarized the 1986 convention’s contribution as “highly productive,” including the integration of the 44 amendments added to Rhode Island’s 1843 constitution into a concise, streamlined, rewrite. If having a readable constitution is one of the most important political rights a people can have, the 1986 rewrite greatly contributed to Rhode Island’s democracy. In addition to the rewrite, the 1986 Convention proposed seven amendments the voters approved, including creation of an ethics commission, expanded environmental protections, and enhanced powers for the governor. Brown mentions none of these accomplishments, instead focusing on a proposal that was defeated 2:1 by the voters. There is little that Brown says about the 1986 Convention that couldn’t also have been used to disparage the U.S. Constitutional Convention of 1787 (see J.H. Snider’s satire, 1787: Vote No Against Convening a National Constitutional Convention). Indeed, opponents of that convention argued that constitutional changes should be proposed via the Continental Congress and that constitutional proposals should be ratified by state legislatures rather than state ratifying conventions. Constitutional convention supporters knew that would be the kiss of death for meaningfully reforming the Articles of Confederation because both the Continental Congress and the state legislatures were the problem needing fixing. Both historians and democratic theorists have generally agreed with the constitutional convention advocates. The independent constitutional conventions that Rhode Island has convened have been among the highlights of the state’s political history and are symbolized by the prominent position of Thomas Dorr’s statue in Rhode Island’s State House. (Dorr was Rhode Island’s most famous advocate for a state constitutional convention and his battles with a recalcitrant legislature are taught today in high school history textbooks throughout the fifty U.S. states). 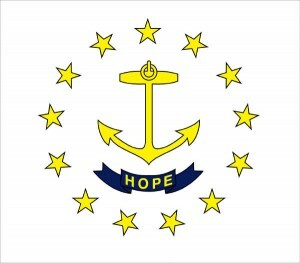 Among the achievements of constitutional conventions in Rhode Island history include a comprehensive bill of rights (by 1843 standards and in comparison to the Royal Charter of 1663 that preceded it), removal of the real-estate (property) requirement for native-born citizens to vote, voting rights for immigrants (notably Catholic and Irish), voting rights for the urban working class, voting rights for servicemen on active duty, elimination of anti-democratic constitutional amendment rules designed to entrench the power of past majorities (the rural, white, propertied classes who controlled the legislature), campaign finance disclosure rules, ethics rules to reduce political corruption, environmental protections, a relatively concise, logical, and readable constitution with embarrassing sexist and other archaisms deleted, and a procedure for calling a constitutional convention independent of the legislature. Arguably as important has been the mere threat of convening a constitutional convention to get the legislature to pass democracy enhancing rules it had long opposed, including reducing the legislature’s ability to remove Supreme Court judges for political reasons (1994), enhancing separation of powers (2004), and eliminating the master lever (2014)—all done in years when the constitutional convention referendum was also on the ballot. Of course, the U.S. Constitution was also ratified at a Rhode Island state constitutional convention. This was after extensive Rhode Island opposition to convening such a convention. None of this is to say that state constitutional conventions have been perfect. But when it comes to restricting the rights Brown cares about, legislature initiated constitutional amendments have a far worse track record than constitutional convention initiated amendments. That’s the real comparison that is relevant for his argument. The most powerful special interests fear constitutional conventions and provide the overwhelming majority of the money behind no campaigns because they know that constitutional convention politics are different from legislature politics. The special interests cannot so easily kill proposals opposed to their interests or slip bills through favorable to their interests. A convention cannot pass laws without first subjecting them to grueling public deliberation for many months after it adjourns and then asking the public to approve its proposals. If legislatures and constitutional conventions served the same democratic function, our framers would have been idiots for including such a redundant institution in our constitution. But they weren’t idiots.